yup, but the back/tail lights look a bit weird though. Like too small for the car. Perhaps it's just me. hah. Saw the same C6 for 2 consecutive evenings in SGH carpark. wonder if the owner works there. Nice and imposing car thought a bit quirky. Anyway, I can positively confirm that the C6 is muuuuch larger overall than the CX even though you wouldn't get that impression looking at the length numbers alone. It is much wider and higher as well. Having said that, rear passenger legroom in the CX Prestige remains unsurpassed, the C6 comes nowhere near. I was wondering whether the Malaysia-Singapore maps for the Garmin would be recognised by the NaviDrive. After all, the map distributor is the same (NAVTEQ), one would guess that they would try to standardize formats as much as possible. thank you very much for introducing yourself, and for the photographs :-) truly a line-up to be proud of. i do know that CnC Singapore are aware of this 'problem' but so far i have not been informed of a solution. i am also not sure as to how actively they are pursuing a local-kludge (as i do know that Citroën France cannot be of much help here). Look, it's a C6, and a near miss! 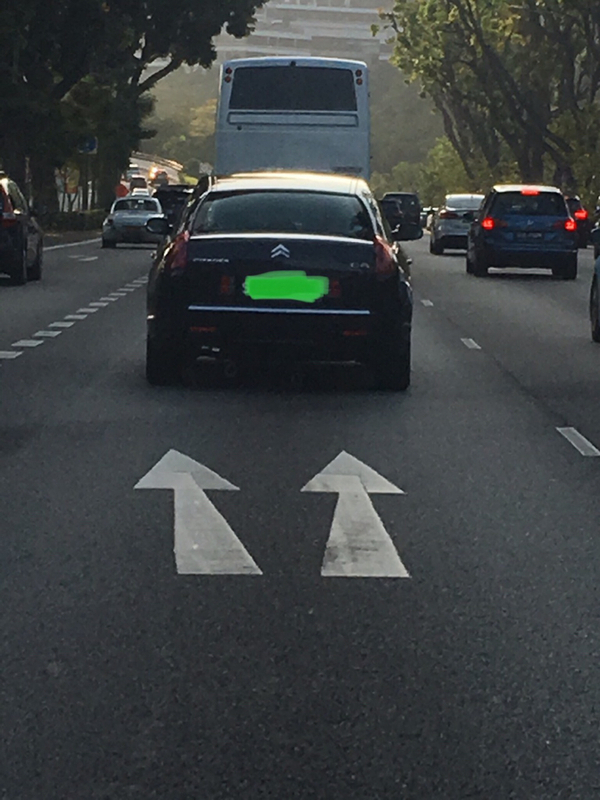 Saw this black C6 along AYE on Monday morning towards town before Alexandra road exit. Really big and feeling high just looking at the car.